Named after Martin Luther King Jr., Lawrence was born to parents stationed in Germany, the fourth of six children. With his parents divorcing when he was eight, Martin grew up with his mother Chlora, who struggled to make ends meet. The family lived in Queens, New York, and Landover, Maryland. After dabbling in boxing while in high school, Lawrence wandered on into New York's The Improv, and began to do stand-up comedy. Afterappearing on Star Search, aired over CBS in 1987. While Lawrence didn't win on the show, he was offered the role of Maurice in 22 episodes of What's Happening Now, starring Ernest Thomas, aired in syndication. Several bits on television followed. Director Spike Lee, always looking for new faces, gave Lawrence his breakout role as Cee in Do the Right Thing (released in July, 1989). Lawrence then got a big role in the comedy House Party (released in March, 1990) with Kid 'n Play. He got a supporting role in an unsold television pilot called Hammer, Slammer & Slade, starring Isaac Hayes, aired in syndication in December, 1990. Lawrence headlined for the first time in Talkin' Dirty After Dark (released in August, 1991) with John Witherspoon, then he returned to do a bit in House Party 2 (released in October, 1991) with Kid 'n' Play. He has a decidedly supporting role in Boomerang (released in July, 1992) with Eddie Murphy. Also in July, 1992, Lawrence became the host for 20 episodes of Def Comedy Jam on HBO. Lawrence finally got his own television show, the highly successful Martin, aired initially over HBO in August, 1992, for three seasons, then over the Fox Network, ending in May, 1997, for a total of 132 episodes. Lawrence's very blue monologue as host of Saturday Night Live (aired over NBC on February 19, 1994) was cut out and the show banned Lawrence for life. For those who were not able to catch Martin Lawrence in the clubs, he has left a number of concert films, the first of which was Martin Lawrence: You So Crazy (released in April, 1994). The improv skills of Lawrence were encouraged by Michael Bay, director of Bad Boys (released in April, 1995) with Will Smith. 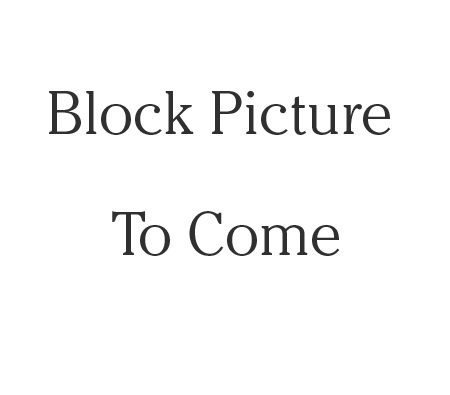 The picture was a roaring success. With all of this going on, Lawrence then directed, co-wrote and starred in the rom-com A Thin Line Between Love and Hate (released in April, 1996) with Lynn Whitfield. Now came movie stardom. Lawrence starred in stand-up double Nothing to Loose (released in July, 1997) with Tim Robbins, co-starred in Life (released in April, 1999) with Eddie Murphy, and headlined the hit Blue Streak (released in September, 1999) with Luke Wilson. He enjoyed a home-run hit with Big Momma's House (released in June, 2000) with Nia Long. Then came some duds: What's the Worst That Could Happen? (released in June, 2001) with Danny DeVito, and Black Knight (released in November, 2001) with Marsha Thomason. 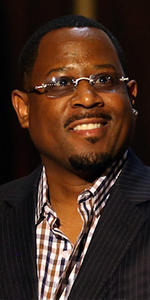 His second concert film Martin Lawrence Live: Runteldat (released in August, 2002) was a hit, while National Security (released in January, 2003) with Steve Zahn tanked. Lawrence bounded back with Bad Boys II (which played the Chinese in July, 2003) again with Will Smith, which remains his biggest hit film. Lawrence played a basketball coach in Rebound (released in Ju;y, 2005) with Megan Mullaly, which flopped, while reprising his role as an FBI agent in Big Momma's House 2 (which played the Chinese in January, 2006), faired much better. Lawrence did the voice for Boog in the animated hit Open Season (released in September, 2005), and enjoyed another hit with Wild Hogs (released in March, 2007) with Tim Allen. Welcome Home, Roscoe Jenkins (which played the Chinese in February, 2008) with Louis C.K., squeaked by, while College Road Trip (released in March, 2008) with Raven Symoné, did OK business. Lawrence got second billing (under Peter Dinklage) in the American remake of Death at a Funeral (released in April, 2010), and returned to the pay window for Big Mommas: Like Father, Like Son (released in February, 2011) with Brandon T. Jackson. More recently, Lawrence has done 10 esisodes of Partmers, with Kelsey Grammer, aired over FX in 2014. His third stand-up concert film, Martin Lawrence: Doin' Time aired over Showtime in September, 2016). Lawrence has signed up for two more Bad Boys films. Grauman's Chinese Theatre, Hollywood, California. Martin Lawrence Forecourt ceremony, Tuesday, November 19, 2001. 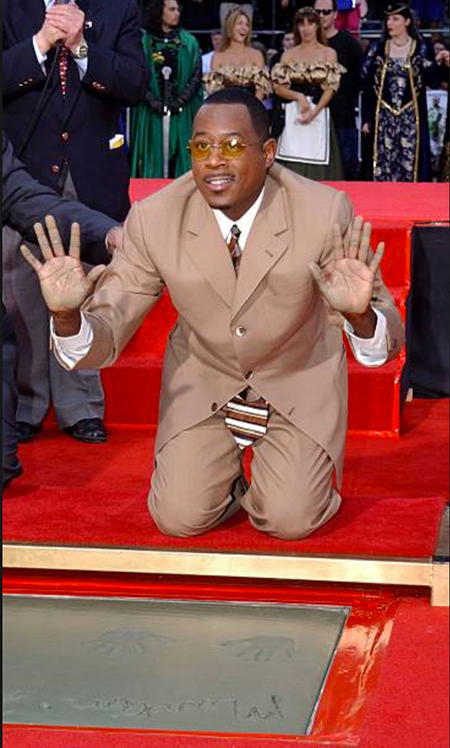 Martin Lawrence smiles for the cameras after placing his hands in the cement. Photo by Vince Bucci.